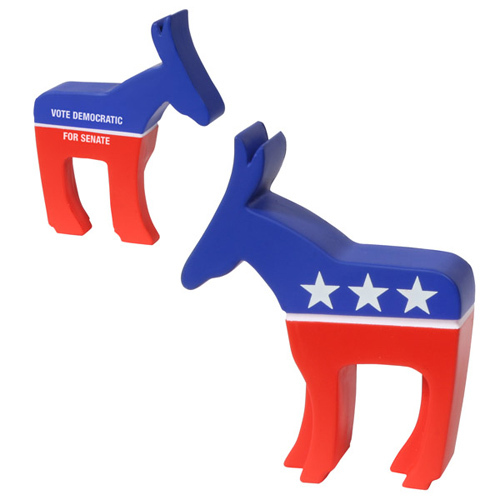 Great giveaway for the Democrats for get out the message. 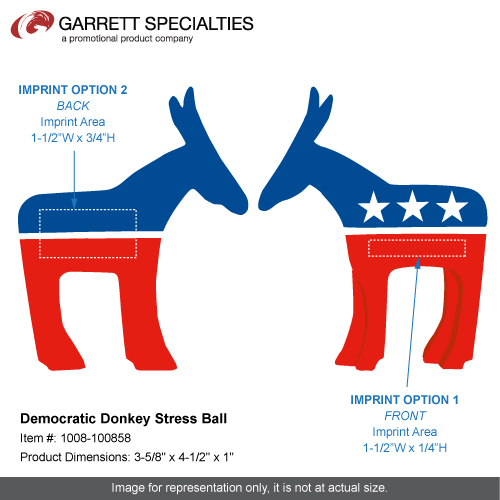 Democratic Donkey Stress Ball is made of Squeezable polyurethane foam. While your clients or employees are squeezing this stress reliever they can concentrate on what their hands are doing instead of on the source of tension. Stress balls or stress relievers are a very inexpensive way to promote your business and keep your logo in plain sight. 3-5/8" x 4-1/2" x 1"
Bulk / 21 lbs / 300 pcs. / 24x14x15box. Imprint Area: 1.5" x 0.25"
Imprint Area: 1.5" x 0.75"